STOCK TRAYS COME IN 6 LENGTHS 8",10",12",14",16",18"
GL 7.5-8 8" LONG $14.50ea. OC 8-8 8"LONG $13.50ea. GL 7.5-10 10"LONG $15.50ea. OC 8-10 10"LONG $14.50ea. GL 7.5-12 12"LONG $16.50ea. OC 8-12 12"LONG $15.50ea. GL 7.5-16 16"LONG $18.00ea. OC 8-16 16"LONG $17.00ea. #127 LONG $20.50dz. #127 SHORT $15.50dz. #155 $15.50dz. #121 $15.50dz. #119 $15.50dz. #147 $15.50dz. "T" Style Long Tray Divider $9.00ea. 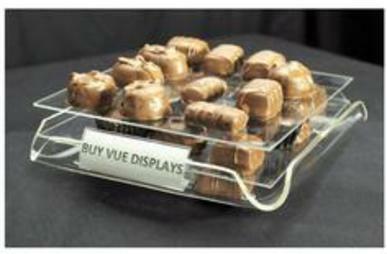 "T" Style Short Tray Divider $8.00ea. 8" Long $1.70ea. 10" Long $1.95ea. 12" Long $2.15ea. 14" Long $2.35ea. 16" Long $2.75ea. 18" Long $3.15ea.